Use this drill bit assortment with power drill, drill press or bit drivers, it’s great for projects around the home, shop and job site. 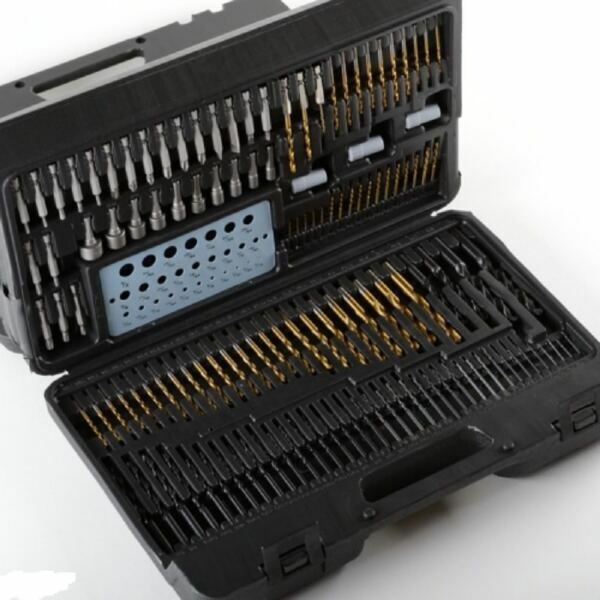 This kit contains the bits you need for nearly every type of drilling or driving and is packaged in a specially designed four panel case folds three ways to offer twice the storage. 2 Vintage Concrete Steel Jointer Tools * Masonry Collectibles 12"